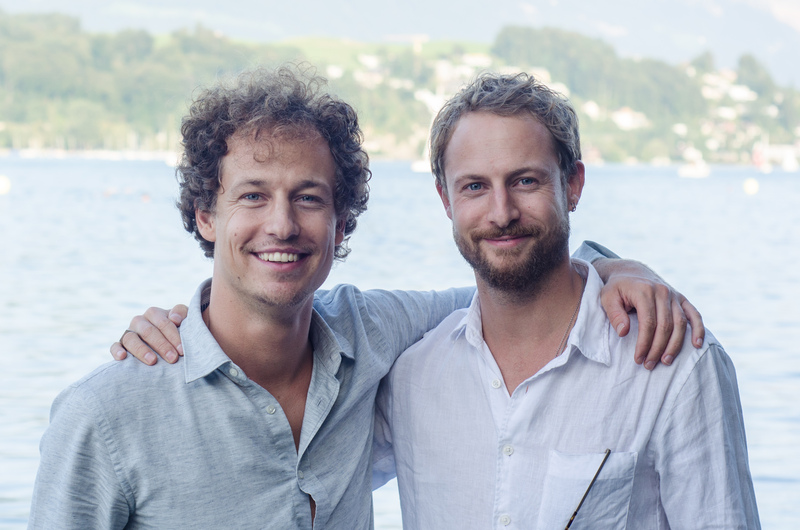 First, Lior and Morris, can you explain in more detail how the WASSER FÜR WASSER model works? WASSER FÜR WASSER works in two places. On the one hand, in Switzerland and on the other, in Zambia and Mozambique. In Switzerland we collaborate with restaurants and enterprises to foster the consumption of tap water. For the simple reason that we have top-quality water available all the time. By doing so, we create ecological value in Switzerland and enable social compensation for people without access to clean water. 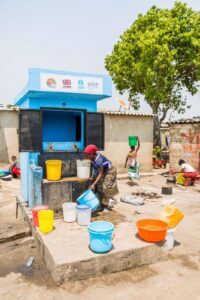 The revenues are then used in some of the poor and fast-growing neighbourhoods of cities in Zambia and Mozambique to support the creation of tap water systems. How exactly are the projects in Zambia and Mozambique set up? WfW enables the construction of water supply systems in collaboration with local partner organisations. So far, 60’000 people have gained access to clean water through our projects. We also improve the sanitation and hygiene situation. In addition, we want to ensure the sustainability of these tap water systems. 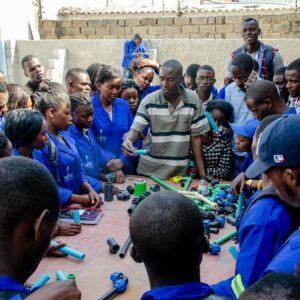 We therefore work with a local vocational school where young people from poorer areas get the chance to receive an education as plumbers and water operators. So far, over 200 young women and men have completed this training. This ensures that the local water infrastructure can be maintained in the long term by locals. What motivated you to create WfW, how did it all start? Before 2011, we had honestly never really thought about the importance of water. We are from Lucerne where clean water is the norm. The turning point in our lives was the death of our brother, Basil. His death changed us and gave us the courage and sense of responsibility to act. After travelling to some lower-income countries we realised that a functioning water supply is quite simply the fundamental prerequisite to human development. How exactly can restaurants and enterprises contribute? There are two models for restaurants. With the first model, WfW CLASSIC, our partners sell tap water alongside bottled water. They donate the whole revenue gained through tap water sales. With the second model, WfW GREEN, restaurant owners fully renounce the sale of bottled water. They donate 10% of their water revenues. With WfW OFFICE, enterprises promote drinking of tap water and raise awareness for water issues among employees and customers. All of our partner companies support WfW with regular contributions, the focus of which can be chosen between projects in Switzerland or Africa. Today, close to 500 restaurants and enterprises implement these models. What are the ecological benefits of the project in Switzerland itself? In Switzerland, tap water is up to 1’000 times more ecological than bottled water. Our partners operate in a particularly eco-friendly way, because they reduce the environmental damage caused by the transport and disposal of over 100’000 plastic bottles every year.